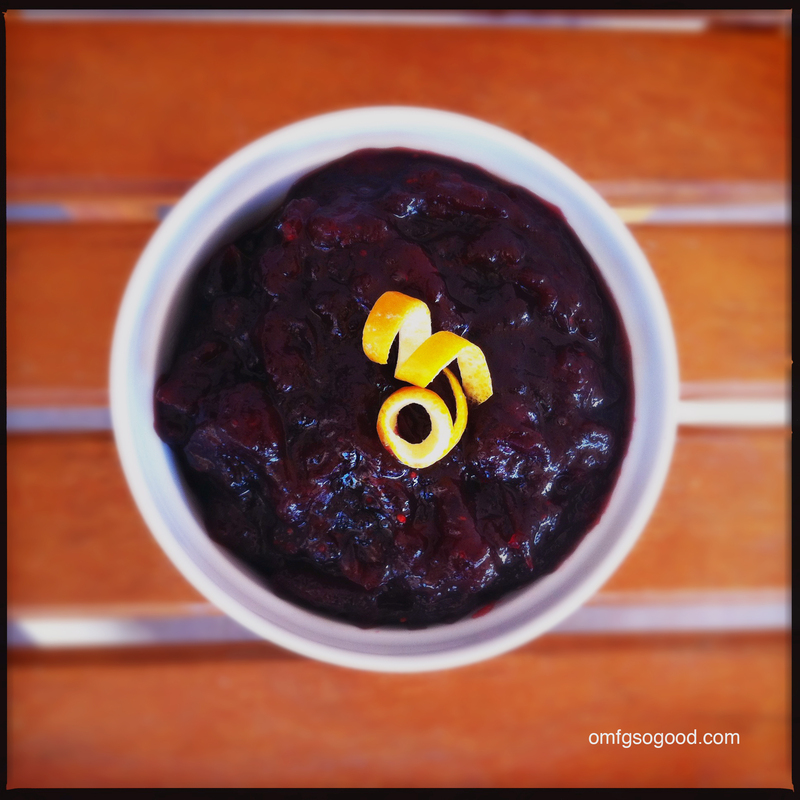 chinese five spiced cranberry compote | omfg. so good. See, I told you. 2012, my year of the cranberry. This aromatic version of a classic cranberry sauce was an unexpected favorite on our Asian inspired Thanksgiving menu this year, and will (like the Sausage Cranberry Apple Egg Rolls) be making a reappearance at our Annual Christmas Eve Appetizer Bonanza. I’m still amazed at my newfound love for cranberries, and was a little embarrassed to have to admit it to my mother. Being a stubborn little cuss, I refused to even give them a chance growing up. Just like the canned peas that I would sneakily (or so I thought) spit into my milk glass every time I took a drink. Unfortunately for me, that trick worked against me. Have you ever consumed an entire glass of milk flavored with canned vegetables then eaten the soggy remains from the bottom of the glass? Trust me, I never tried to pull a fast one on ol’ mom again. Well, at least I never tried pulling that fast one again. Back on track, Jenn… back on track. So, this compote has a classic cranberry orange base flavor, enhanced with the aromatic qualities of star anise, ginger, cinnamon, anise seed and cloves. 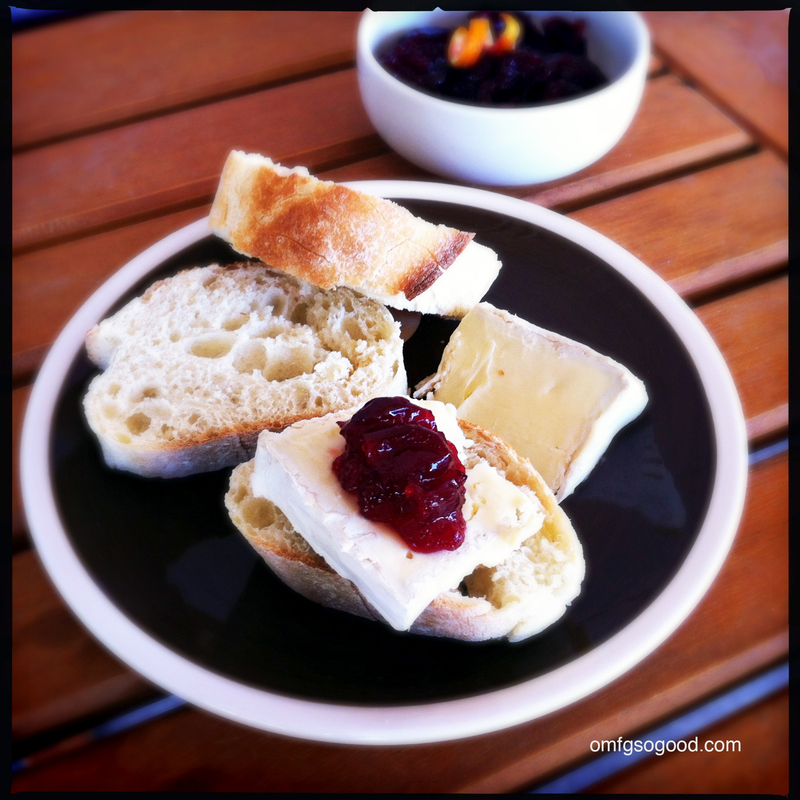 Close to perfect alone or with a slice of crusty french bread and a wedge of St. André Triple Cream cheese. So easy to make, even easier to devour. Combine all ingredients in a medium sized saucepan and cook on medium-high for 15 – 20 minutes (or until most of the liquid has reduced), stirring occasionally. Remove from heat and allow to come to room temperature before serving or transferring to the refrigerator. Garnish with a curl of fresh orange peel and serve at room temperature or slightly warmed. This is one side dish I won’t be hiding at the bottom of my milk glass. 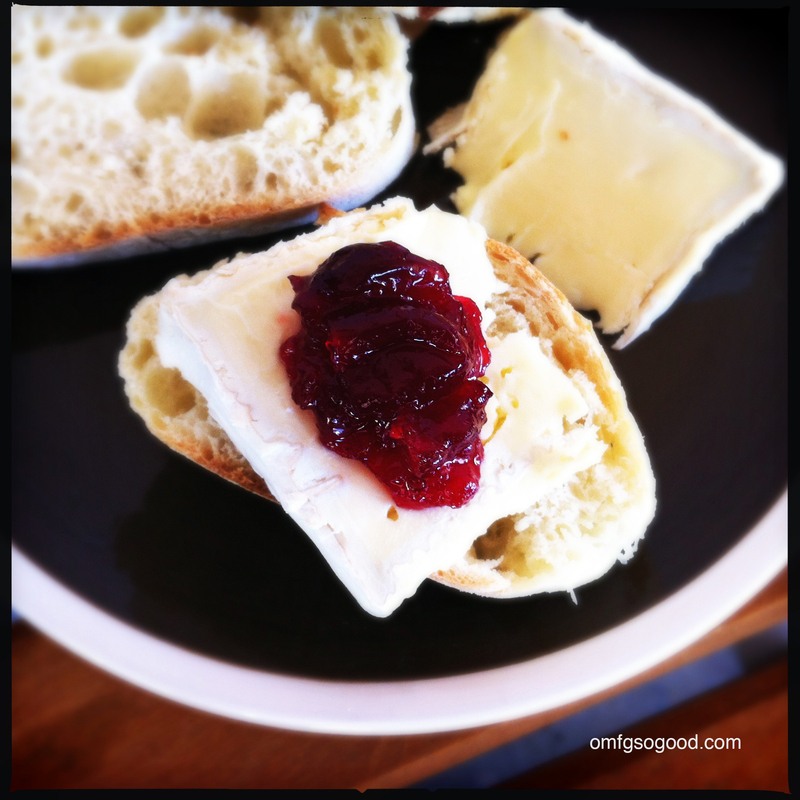 St. Andree cheese, is without a doubt, one of my top 5 favourite cheeses. Mmm. Your compote looks absolutely delicious. You take amazing pictures! Made me want to try this – I don’t know why I never had the idea of putting Chinese 5 spice into something sweet. Thanks! It really is a perfect flavor compliment to the tang of the cranberries. One of my better ideas, no doubt!